Clay Aiken – Dream Big! OK…Sometimes plans just fall apart. I had planned to post about Clay Aiken and his work with charities today…I apologize...Life just scrambled my day and I ran out of time. Lets do charities tomorrow!! Just imagine for a moment your Perfect Day and how it would look. Perfect Day? I’ve had a few. The birth of my children, the day my son graduated from college with the highest GPA in his class…the day, that I sat through the dress rehearsal for a show on Broadway and got to meet all the performers (including Clay), the producer, director and even got to tour the backstage just before the show started. My idea of a perfect day changes almost daily. Today, I think first of my family. I love the average day when my husband and I can spend the day, playing with our 6 year old twin grandchildren and then have dinner together with their parents joining us. Yeh….pretty boring for most, but, for me, I feel so blessed that I get to share my life with those I love. Dream big or dream small about that perfect day. But dream!!! 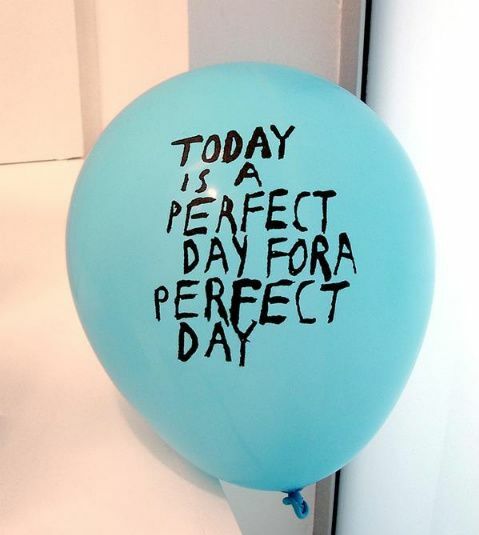 Tell us what makes your Perfect Day. Is it a boat ride around Paris, a day at the beach on Hawaii, a day helping students for The National Inclusion Project, or, like me, a day at home with your family? I hope you will share your dreams with us. My perfect day would be going to see my niece in a show or Clay coming to town and I’ve got front row tickets and a backstage pass. Dreaming big I win the lottery and take my whole family on a trip to Europe. We spend the day seeing the sights and having fun. My wish…that Clay has many perfect days! Clay is going to make it a perfect day when he sings on Idol this Thursday!!!! A perfect day for me would be sitting in my beach chair watching the ocean waves coming in to graze my feet. Another perfect day for me would be spent at the skating rink with Clay music playing while I float across the ice. Of course have a private meet and greet with Clay would really make for a perfect day. I know Clay would somehow be involved in my perfect day! A perfect day would be me living in Raleigh with my cousins. I am a volunteer for NIP and one day I get to treat Clay to some frozen yogurt and he gives everyone some bean pie which he made. I hope when I die I get to visit the Aiken section of heaven. A "perfect" day for me would be to be released from all of my therapies (OT & Speech), (Recovering from Meningitis & Encephalitis from last summer. ), released from ALL the doc's for at least 6 months or more, but they are still worried about me. Then seeing my best friend, Trinity & her daughters (My adopted nieces), Sophia & Maggie who are 5 & 3, respectively for a little awhile, going to dinner at Ciao with my parents & Nana, (our dogs Annabelle, Krissy & Cayla would also be included in this.) Then spending time with my worker(s) Ashley & Shawntay @ the condo playing Trivial Pursuit, & THEN seeing Clay in concert, having a backstage pass & I'd get to meet Parker (I consider him my adopted nephew.) =) And then I'd have dessert/coffee with our cousins with Belgium. That's be my idea of a perfect day. dance to Clay singing "Something About Us"! The other 4 younger GC will all be in the wedding party. The other "Perfect Day" would be copying yours, Musicfan, and spend some part of the day with Clay! Talking and discussing and sharing some good food! = Day of Perfection! Error: Error validating access token: Session has expired on Tuesday, 21-Aug-18 16:13:01 PDT. The current time is Thursday, 25-Apr-19 17:56:54 PDT.